Bake a dish or make something that reminds you of your loved one. 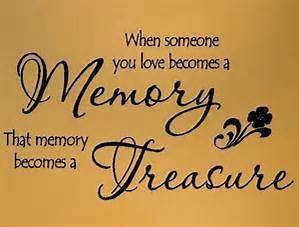 Bring it to your Holiday get together or family tradition to eat in his/her memory. If you have kids, allow them to help you make the dish so they can have a chance to feel connected to the loved one as well. My dad loved brownies so that’s what I tend to make in his memory. Watch a favorite show or movie of your loved one’s, or something you used to watch with your loved one. My dad and I always watched the Andy Griffith show together when I was young so this is what I would chose to watch in his memory. Light a candle next to a picture of your loved one in a special place in your home so you have a place to sit with your memories. This will also help you feel their presence on a holiday when you are missing them the most. Plant a flower seed, tree, plant, or garden in your loved one’s name. Each year you can add something new. I really like this idea as a tradition to start with my kids in his name. 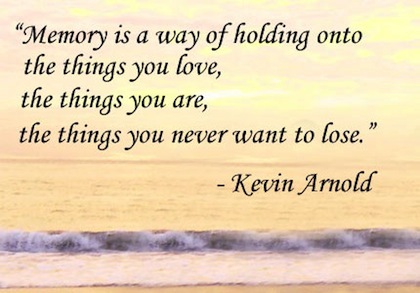 Create a book of memories of your loved one. Include pictures and memorabilia if you have any. I would like to do this one day. I have a lot of memories of my dad that seem to fade as the years go by. I think it would be very helpful for me to write my memories down so I can be sure they aren’t forgotten, and also so that my kids can have a way of remembering him even though they never got to meet him. During a family get together, holiday, or tradition have everyone share a happy or funny memory of the loved one. 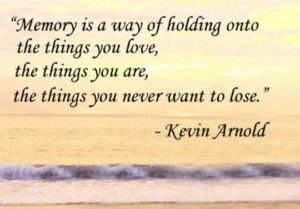 Then spend the rest of the time enjoying the moments you have with the ones you love who are still with you! I like these ideas because they are all ways to celebrate my dad and for me to feel like his memory is not forgotten during the holidays. They are all ways for me to feel close to him, to think and talk about my happiest times with him, rather than dwell on the sadness that he isn’t here. I think above all else, sharing these celebrations with your spouse, children, family, or friend is important, not only for support, but also to allow his/her memories to pass on! If you are missing a loved this Holiday season as I am, I hope you are able to celebrate all the joyous memories you have and also create many more new ones!